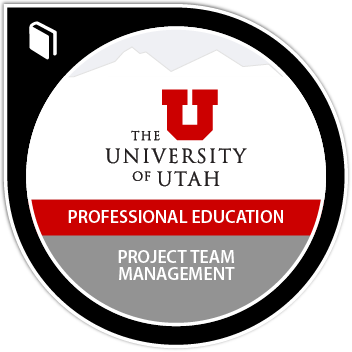 Those earning the Project Team Management Micro-certificate have been introduced to important project human resource, team building, and communication principles. They have demonstrated an understanding of PM terminology associated with these concepts. Earners can identify human resource requirements, create a human resource management plan, develop a communications management plan, implement team building measures, and use these tools to improve communication. Requires 36 hours of instruction.